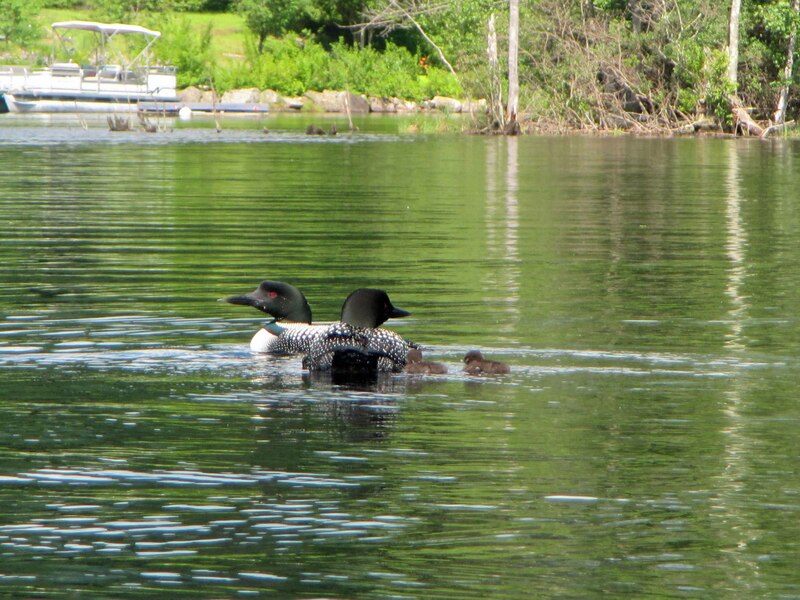 The loons have had their chicks on Lake Franklin Pierce, and are paddling around with their fuzzy babies. 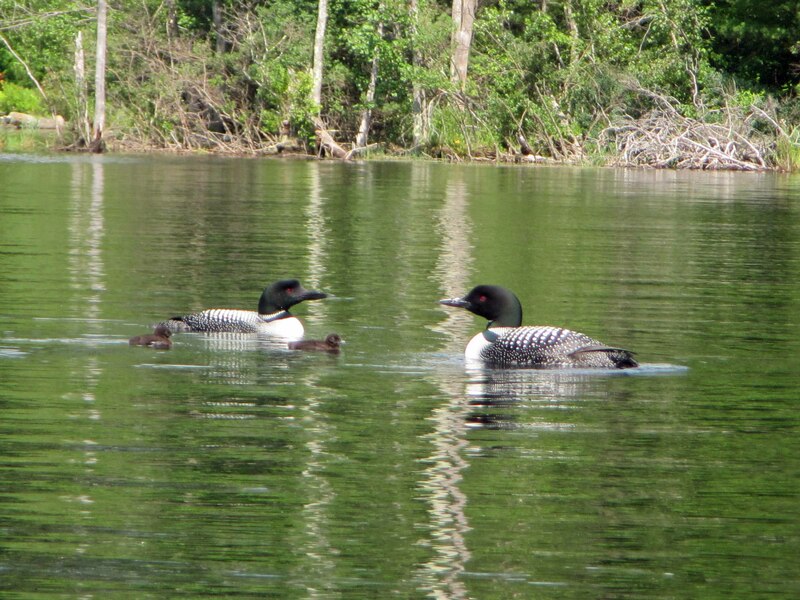 Loons are rather shy of motor boats, but my daughter Evelyn took these photographs while kayaking. Earlier in the Spring, the loon parents had been looking around for a good site for their nest. I love the loons, but wherever they build their nest becomes a protected site until the babies are almost grown up. I didn’t want to discourage them from building a home on my property, but I do like to take my boat out. The loons smartly decided where they had their family last year would do fine, and so the part of the lake that was roped off and protected did not include where I keep the my boat! Still, it’s wonderful to see the loons. They are large birds, and are known to have terrific battles with the Canadian Geese that also live on the lake in the summer. Unlike your regular old duck, the loons don’t just bob down for food. The loon will dive downward and pop up again far away. It’s a game to play when kayaking, guessing where the loon will come up again after diving under for a meal. There are warning signs out now, to please be quiet and give the loon family peace and quiet. However, my kayaking daughter is the kind of company loons don’t mind. Great photos. We have loons out here in the Pac. NW too, and I love them.